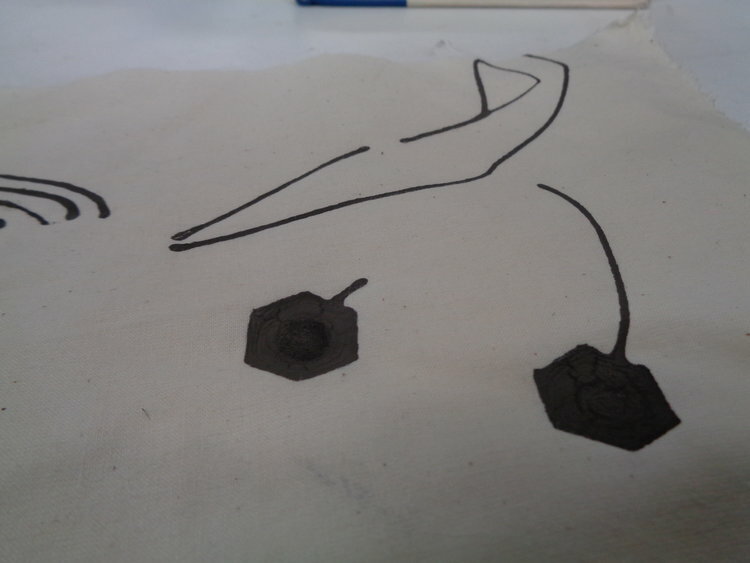 For an artist residency at Autodesk, I worked on a machine and a conductive ink to print circuits directly on textiles. Why do this? Making smart apparel scalable, functional and robust relies on automation and easy prototyping. For an artist residency at Autodesk, I worked on a machine and a conductive ink to print circuits directly on textiles. Making smart apparel scalable, functional and robust relies on automation and easy prototyping. Most e-textile projects are done by hand, making them hard to build. Without easy iteration, it's challenging for designers to create strong prototypes that can someday become products. With this in mind, I wanted to build a machine that could help designers create active, functional, electronic soft goods in the same way that a 3D printer can help a designer prototype a hard good. Of course, this machine is far from being an industry tool, but exploring possibilities for making e-textiles more manufacturable is the first step to a better understanding of long-term solutions. This blog post covers some elements of further developing this work with help from my teammate Ezgi Ucar and Luis Rodriguez from Three Digital Cooks. Ezgi and I executed much of the fabrication and testing of swatches and Luis built the circuit printing machine below. It was a great improvement to my original build, which can be seen here. 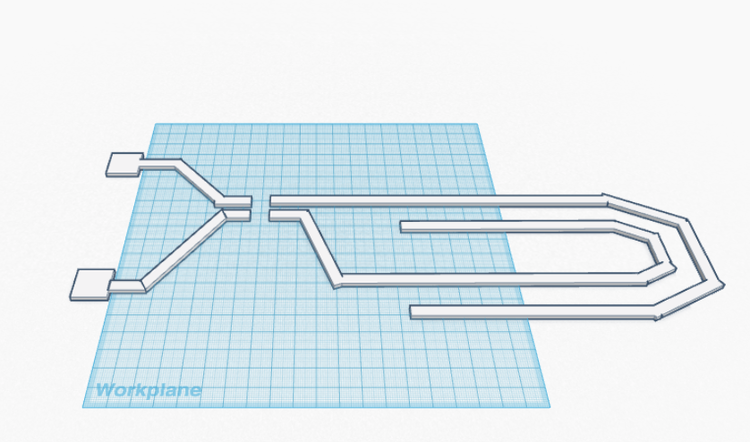 A machine to print circuits onto fabric. 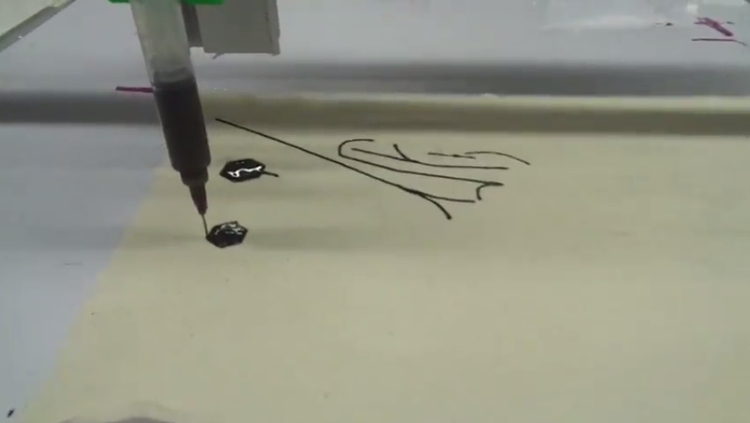 Luis Rodriguez built a highly accurate CNC machine that extrudes conductive ink onto fabric. Where do we get the ink from? We make it. The ink is specially made to work on stretchable textiles and muslins. Many conductive inks deposit to a plastic sheeting that goes onto the fabric, but ours goes directly onto the fiber itself. This is useful because fabrics shrink, bend and flop and sometimes plastic doesn't want to move quite like the fabric does. This can cause lifting or electrical issues. 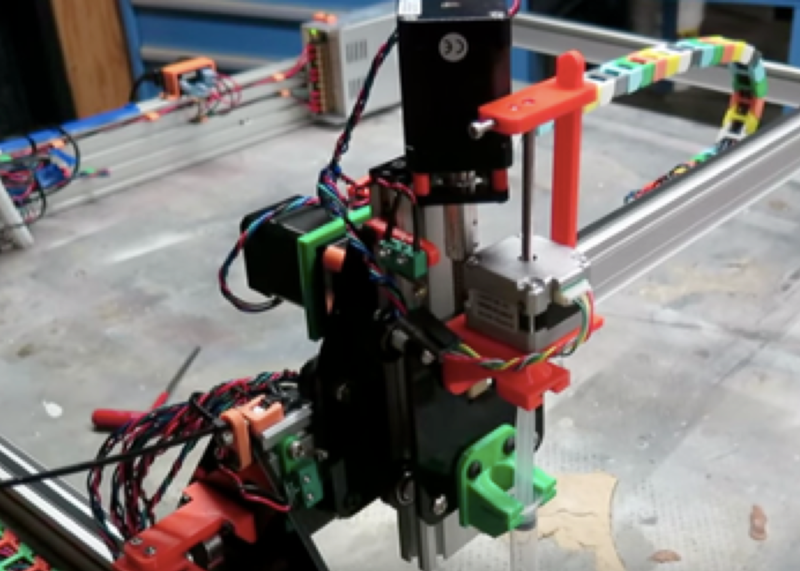 The machine can print any geometry we give it, meaning we can print circuits in an accurate way by sending the machine a file, loading it up with ink and pressing "GO". The image above shows a circuit printed onto paper. Once we got the machine rolling, we started some experimentation. 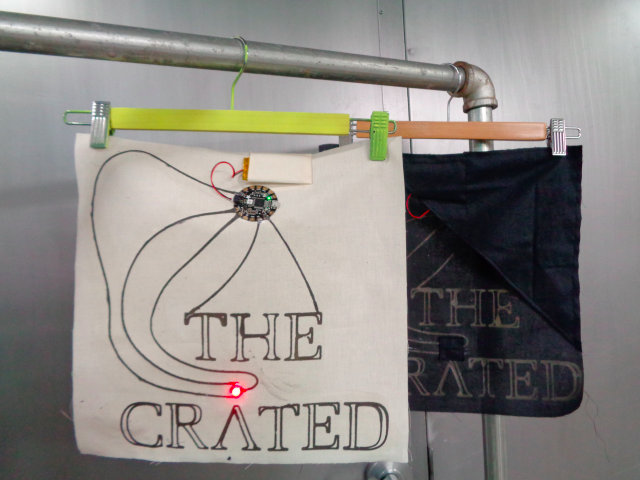 The two experiments below show how conductive ink and machines that print circuits onto fabric can be useful. 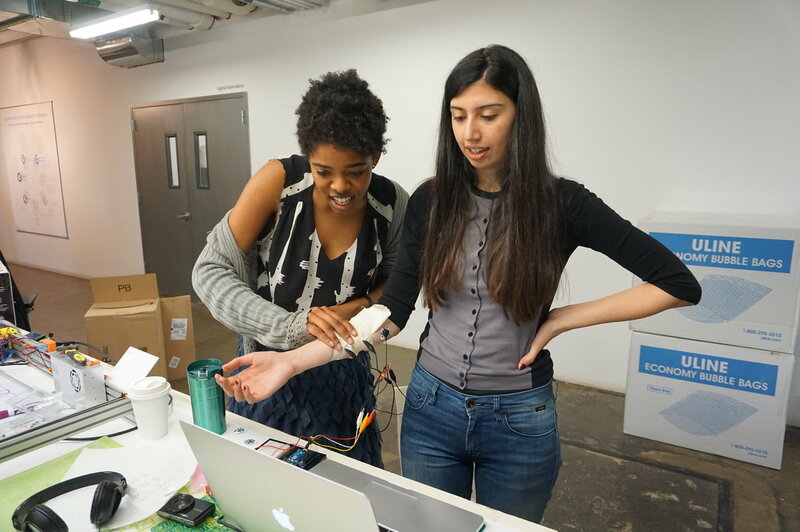 Being able to print electrodes onto fabric could mean biometric monitoring on a comfortable garment. We wanted to see if our ink and printing system could work for making electrodes. We made two ink geometries that were intended to be at the proper spacing for an EMG reading. EMG reads muscle contractions, so Ezgi and I turned the printed electrodes into a small ink sleeve. We then hooked it up to an Arduino and had Ezgi flex. See the video below to see how the electrodes can read Ezgi's movements (the numbers change quite a bit). This sort of system could be much more comfortable for patients that need constant moniotoring than a gel electrode patch. Being able to sense when a fabric is being touched could be useful for soft robotics or prosthetics. Imagine a soft robot that can sense when a human has touched it and respond. We created swatches of lettering that could tell when you touched certain letters using capacitive touch (the same kind of sending your phone screen uses). In the GIF above, you can see how the LED on the fabric starts changing colors in a gentle gradient when I touch the E. When I touch the T, the pattern switches to a blinking color change. When I touch the E again, the LED goes back to a gentle gradient. This means the fabric is reading where I touch and then reprogramming the LED with a different output. The LED helps us see visually what's going on, but this kind of touch sensitive fabric can be useful for soft surfaces to respond to humans with kinetics, speech or other highly functional outputs. That's it for this series of explorations. More to come as we continue to research e-textile production. Electronic textiles, our core focus at LOOMIA, are a combination of two unlikely industries. Along the same lines, our latest project mixes algorithms and textiles — another unlikely pair — with a data-driven dress created for the Near Future Summit. How do you make a textile that can kill germs? By using Versalume's flexible fiber optic lighting and a UV-C light, it's possible (in theory) to weave germ-killing functionality directly into a fabric. Choosing a conductive thread or yarn can be a challenge, as it's not always clear what one should be looking for in a conductive filament. After inspecting a few threads on the market, we came up with a criteria for choosing a "good" thread or yarn.